Below is a message from a member of our group that describes what had been happening in America up to 1944 re creeping socialism in a view attributed to the six time Socialist Party of America Presidential Candidate Norman Thomas who supposedly said that the Democrat Party had adopted the Socialist Party platform thereby relieving him of the need to run for office again. Well socialism in America is no longer creeping as it dramatically accelerates under BO & the Democrat Party cannot take all of the credit (debit) as far too many Republicans are all too eager & unprincipled to resist joining in. In truth there are but a handful of good politicians left in America (many of them are being targeted by the Socialists) & Carol believes that the American people have let this happen without a whimper. She tells me it is stunning to her. The GOP complicity in the socializing of America can be demonstrated by just looking @ the lousy candidates Republicans keep putting up such as Socialist-Lite presidential candidate John McCain or even more recently in the March 31 special House election in which losing NY state-level career politician Jim Tedisco had trouble letting people know how he felt about the massive BO stimulus plan or the union card-check legislation that eliminates secret ballots in establishing unions in places of employment. Make no mistake about it - the wealth creating people in America are outnumbered by those who want to redistribute wealth. I know many people who believe we have passed the tipping point for being able to recover because we know we will slide further away from America's founding principles until @ least November 2010. The party defection of the despicable Arlen Specter does not change much - he already had joined forces in February with Republicans Snowe & Collins (both of Maine) to supply the votes @ the margin needed to pass BO's $787 billion stimulus package. Without two of these three the stimulus would have failed the procedural control cloture rules of the Senate that require 60 votes to end debate. Add Republicans Voinovich (OH), Lugar (IN), & Martinez (FL) to the former mentioned three & you have plenty of Democrat-Socialist support in the Republican party for BO's agenda. It is important in trying to peacefully reverse this socialist slide to find & elect good candidates for any office @ the primary level. In this regard the people in NJ are very fortunate in that Gubernatorial candidate Steve Lonegan is the genuine article & exactly what is needed - he is working his fingers to the bone for NJ. Unfortunately the Republican Party bosses don't want such a candidate who is dedicated only to his possible future constituents so they have put up a mediocre middle of the road candidate who they can control. Lonegan trails in the polls so we have our work cut out for us if we are going to surprise the Republican machine - but @ least we have a chance to vote for a real difference. If Lonegan loses the primary NJ will once again have as Governor either Socialist-Democrat Jon Corzine or a luke warm body going through some Republican motions but in all likelihood caving when it matters most. Our founders warned of America's enemies - both foreign & domestic. But the domestic enemies are the most insidious & as indicated above & below they are everywhere - all around us @ every level of government from the presidency to other inconspicuous community organizers who also have Saul Alinsky's book Rules For Radicals - a step-by-step guide on how to overthrow American capitalist democracy and replace it with a communist system - on their desk for constant reference. Norman Mattoon Thomas (November 20, 1884 - December 19,1968) was a leading American socialist, pacifist, and six-time presidential candidate for the Socialist Party of America. He was ordained as a Presbyterian minister in 1911. 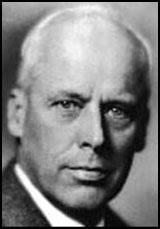 As a candidate for President of the U.S. , Norman Thomas said, in a 1944 epoch speech:"The American people will never knowingly adopt socialism. But, under the name of "liberalism", they will adopt every fragment of the socialist program, until one day America will be a socialist nation, without knowing how it happened." He went on to say: "I no longer need to run as a Presidential Candidate for the Socialist Party. The Democratic Party has adopted our platform."